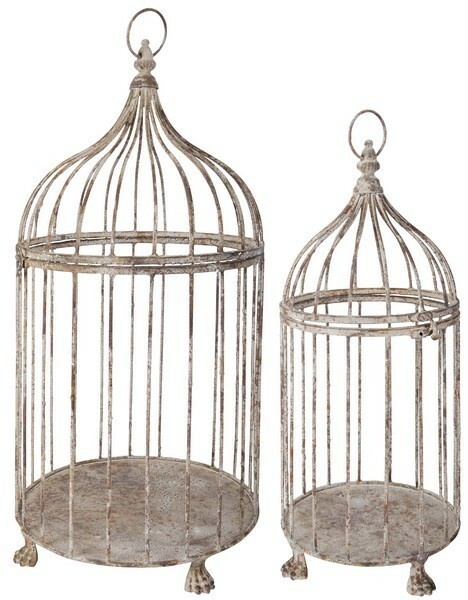 Set of 2 Aged Metal Decorative Bird Cages. These unique bird cages each come with pedesatal type legs on the base and round ring at the top and lockable door for that authentic look. Small cage measures: 9.2x9.2x21.3. Large cage measures: 12.6x12.6x26.4.